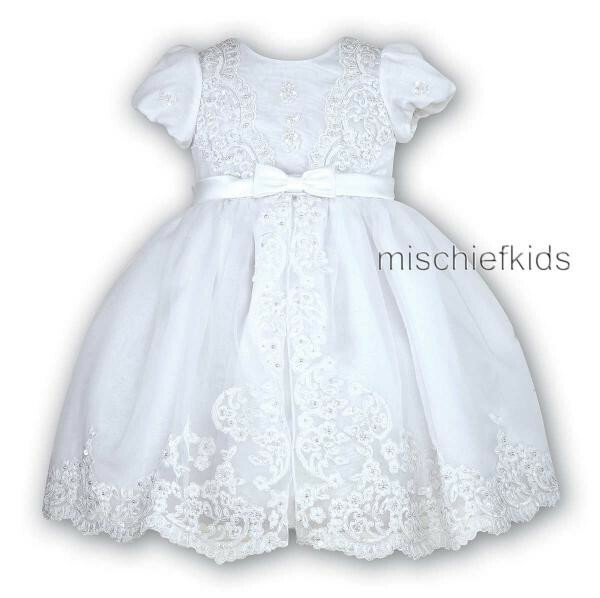 Sarah Louise 070012 DIVINA Ballerina length Organza Lace dress with puff sleeve and small bow at the waistband and an orgaza lace bodice that flows down the front of the overlay on the skirt. 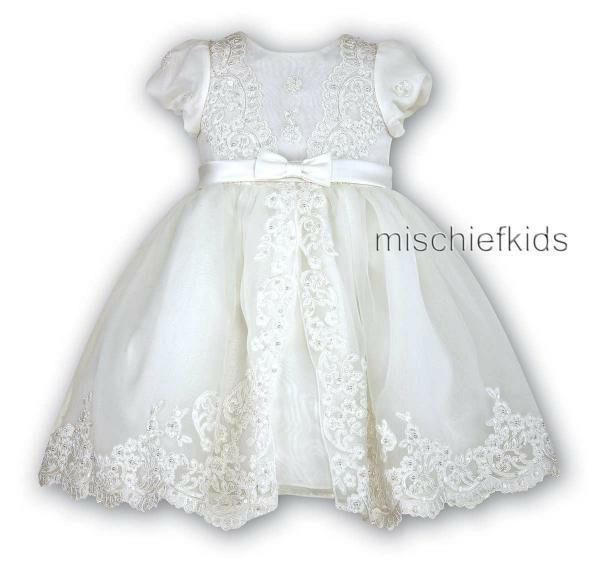 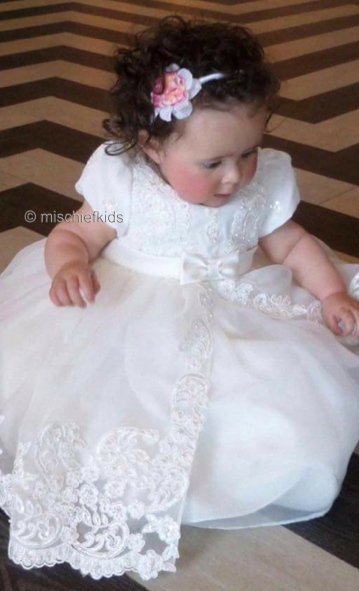 This is also available as a gorgeous full length christening gown and bonnet set, Please enter 001165 in the search box to see the gown version. 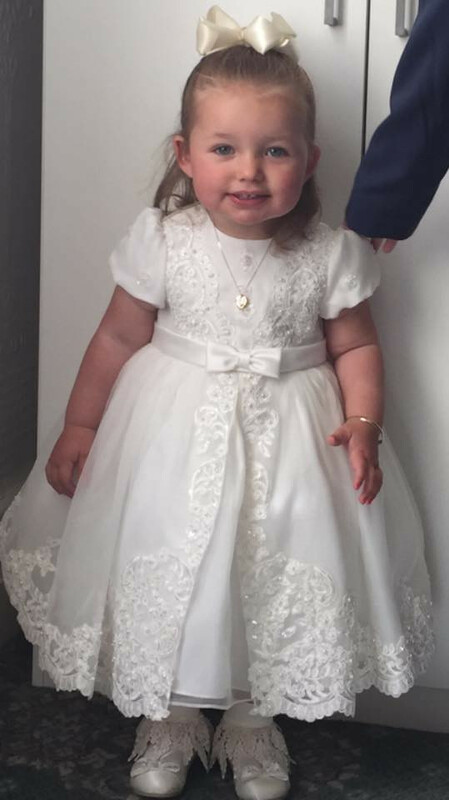 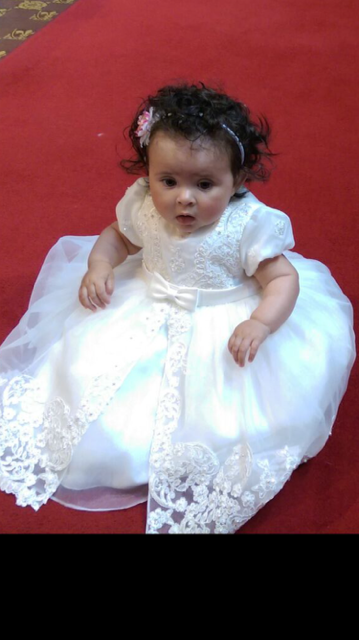 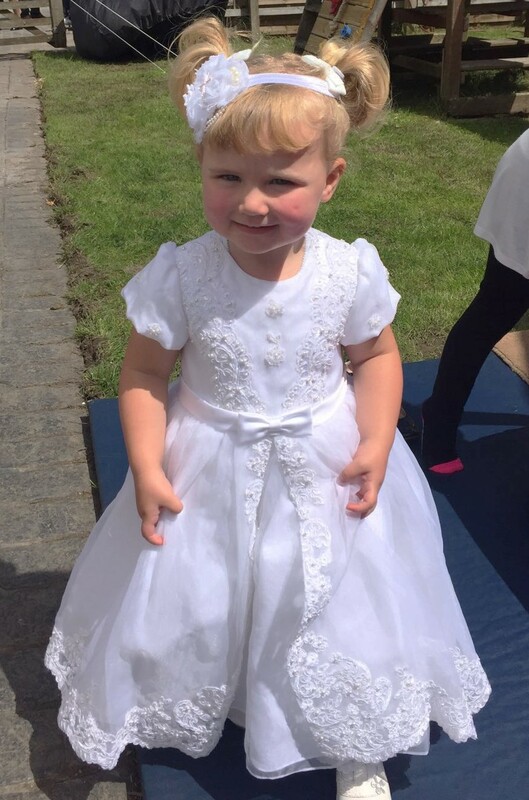 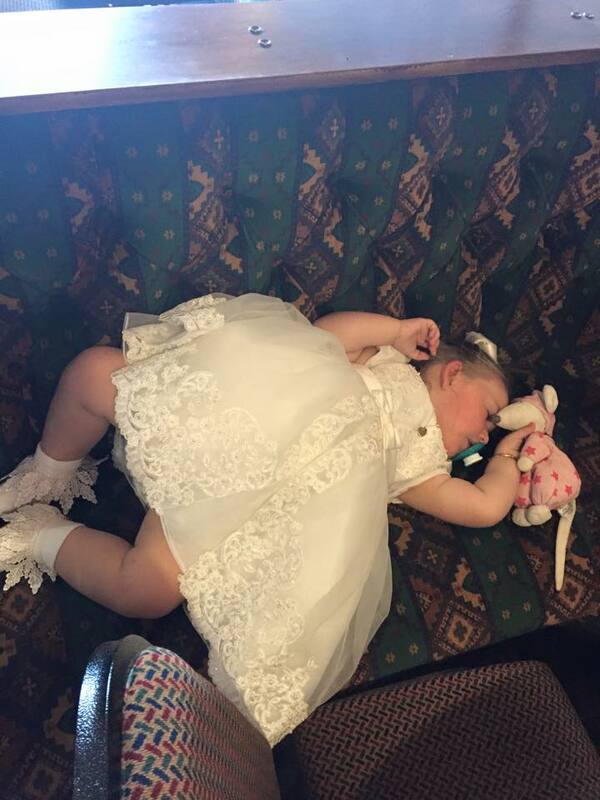 Thank you to Katrina for sending in the photos of her beautiful daughter Lilly Elizabeth Reid from Leigh on her baptism day. 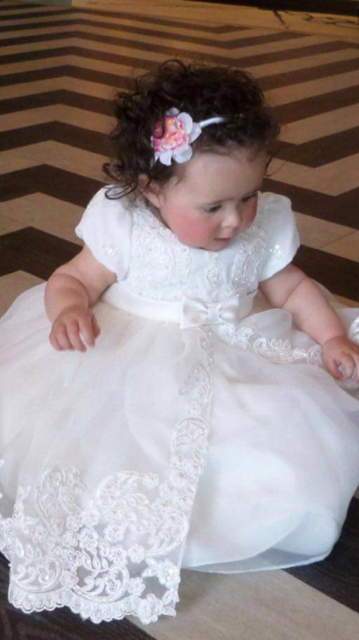 Lilly aged 8 months approx. 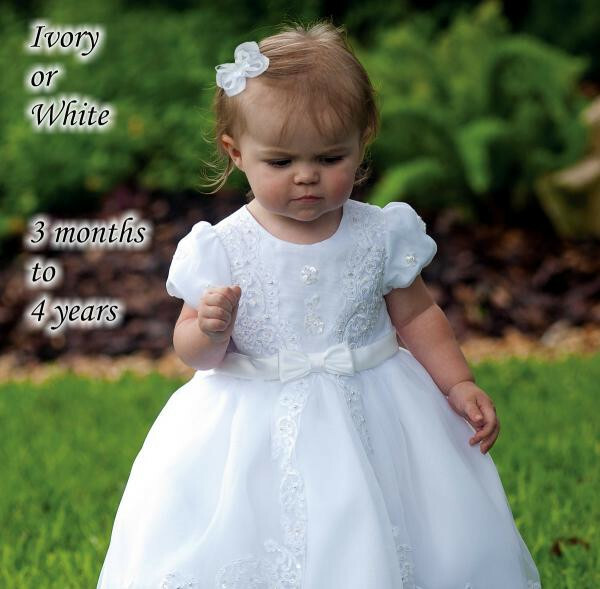 18.5lbs is wearing the ivory 6 months dress. 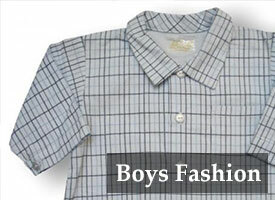 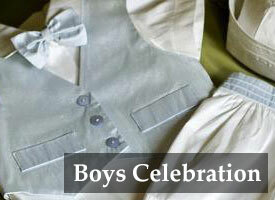 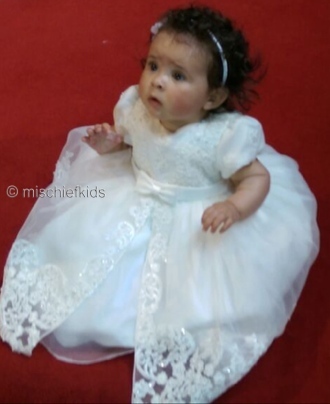 "We had a lovely experience buying from Mischief Kids. 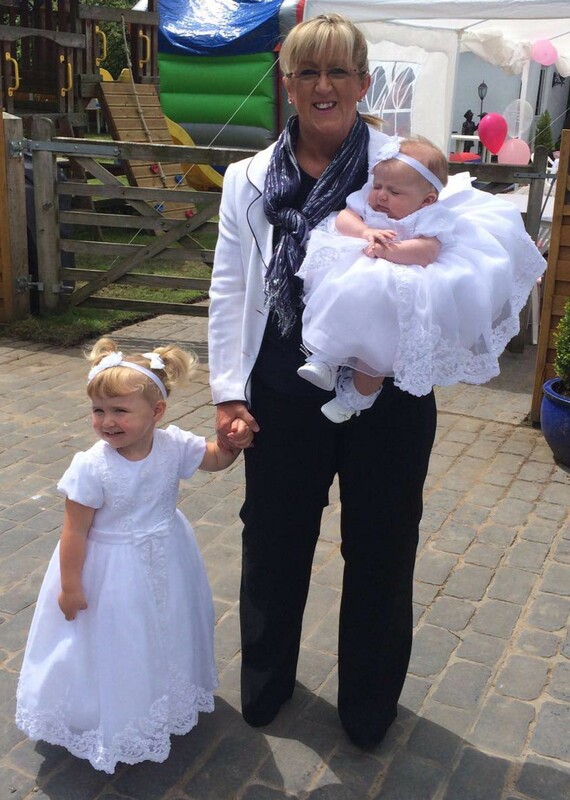 Friendly and efficient. 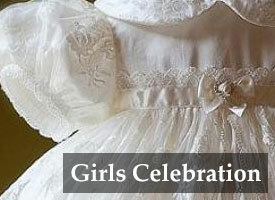 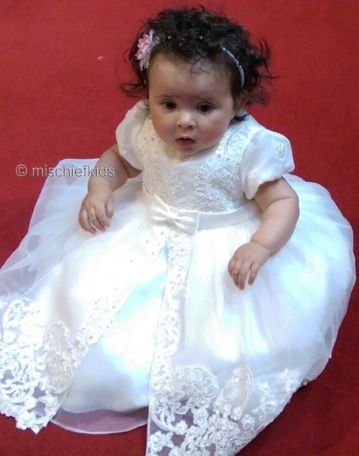 Lilly looked like a princess, we absolutely loved her dress"
We had a lovely experience buying from Mischief Kids. Friendly and efficient. 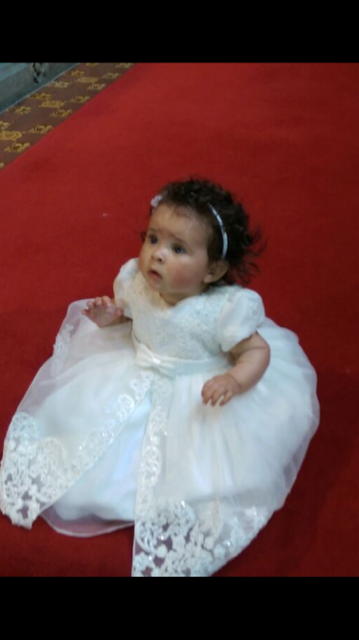 Lilly looked like a princess, we absolutely loved her dress. 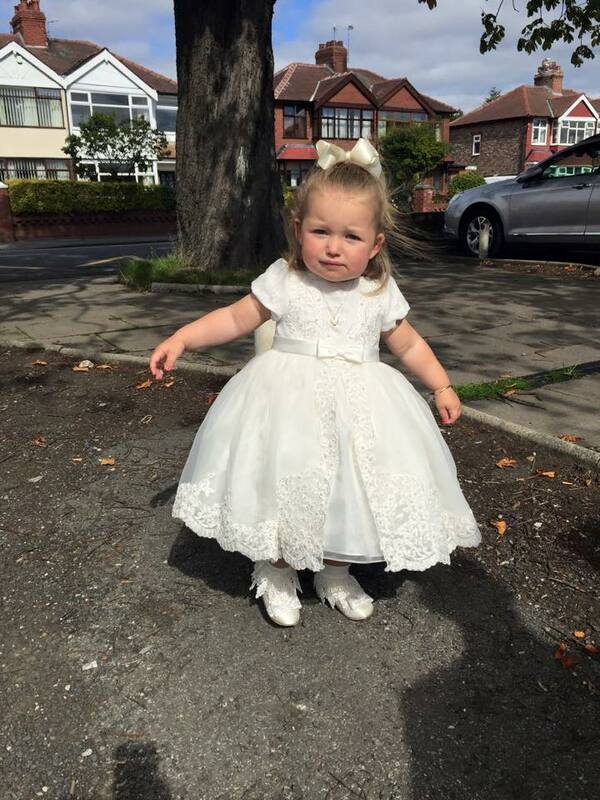 Grace at (almost) 2 years old was 86cm tall at her last check and 14kg and is wearing the 18 month size dress in ivory.